It had been a very long time, probably more than a decade, since I had last visited the City Museum in St Louis MO. My husband and boys went there frequently while I did the grocery shopping at Whole Foods Market and Dierberg’s. For my youngest son’s 11th birthday recently, I chose not to do any shopping and just have a family day. The first place we went on a very hot mid-90 degree F day was The City Museum. I have always appreciated what they do there. Not only are they preserving some very special and interesting bits and pieces of the city’s history (“a museum”) but they let visitors physically interact with much of it. The City Museum is a highly physical experience. It used to scare the heck out of me – that is some of the crawling structures on the outside of the building – but I’ve not heard of any serious mishaps due to poor construction. It is a challenging place and so one must be responsible for their own safety and what they do while there. The City Museum bills itself as an “eclectic mixture of children’s playground, funhouse, surrealistic pavilion, and architectural marvel.” It has also been described as “a wild, singular vision of an oddball artistic mind”. Visitors are encouraged to touch, climb on, and play in the various exhibits. It consists largely of re-purposed architectural and industrial objects which are housed in the former International Shoe building in the Washington Avenue Loft District in St Louis. My family made the trek up 10 stories of stairwells to have the opportunity of coming down the 10-Story Slide. I regret that the experience was not that awe-inspiring but we got some seriously sweaty exercise going for it. My youngest son spent a lot of time running up and down the Skate Park, which is a collection of skateboard ramps without the skateboards along with rope swings tied in front of some ramps. He enjoyed challenging himself by running up a ramp and trying to pull himself over the 12 ft tall wall. At one point we followed him into the dark hole of a maze and eventually I found myself slithering on my belly pushing my purse along and by the sound of it clearly under the bleachers of a circus ring (on the third floor) during one of their daily live acts. On that same floor is the Art City where guests can try their hand at a number of different art techniques. 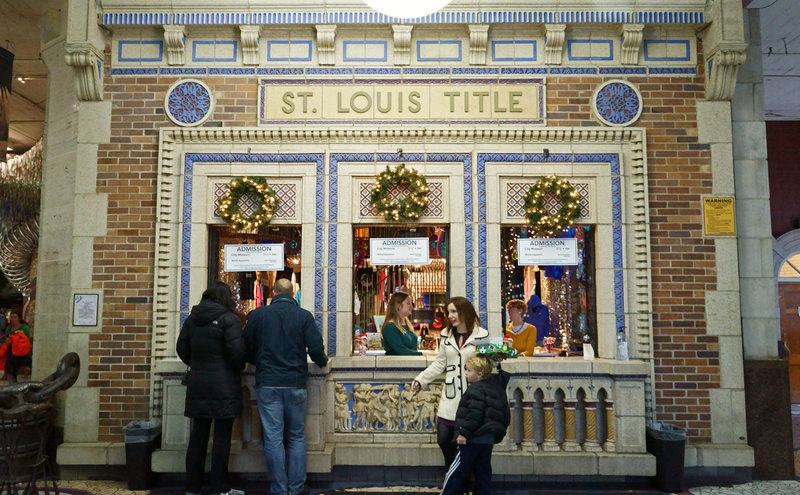 The City Museum also houses The Shoelace Factory, whose antique braiding machines makes colorful shoelaces for sale. The roof has a small old-fashioned Ferris wheel. It also has a slide that goes under a small pond. The pond has stepping stones that go from one side to the other. The roof also has a school bus that had actually worked once, extending past the edge of the building. Visitors can walk in the school bus and open the door from the driver’s seat. Also found on the roof are a giant rope swing contained in a free-standing aluminum dome underneath the roof’s centerpiece; a giant metal praying mantis. It is possible to climb a series of enclosed metal ladders inside the dome to an exit at the top. Located in front of the building is the area dubbed “MonstroCity” which features two Sabreliner 40 aircraft fuselages suspended high in the air, a fire engine, a castle turret, a 25-foot cupola and four-foot-wide Slinkies that can be crawled through, one very high that leads to a slide, and two ball pits (which both my 14 yr old and 11 yr spent some time in while we sat nearby in the shade with cool drinks). “Got Byproducts ?” I was inspired to write this week’s blog by an email dated July 21, 2015 from repurposedMaterials on the subject of “Theme Park” which mentioned the City Museum in St Louis. According to the company – re•pur•posed•MA•TE•RI•ALS (noun) are byproducts and waste that have value “as is” to a second, unrelated industry. 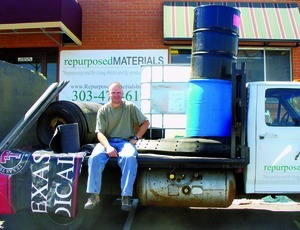 repurposedMATERIALS was started with the hypothesis… “There are enough byproducts and waste that can get a very different second life, or a “repurpose”, that you could make business out of the concept.” They note that almost five years later, they have proven their hypothesis to be true. In that same email, they introduced chemicalRepurposing – yikes !! Given my generally cautious perspective towards chemicals I am a bit anxious. In looking at that, they say that they “ended up with six fluid, mineral, chemical waste streams looking for a home”. Their list of chemicals includes carbon black powder, calcium carbonate, perlite, isopropyl alcohol, alumina, stoddard solvent, glass sludge and magnesium oxide. Regarding our own business, I was interested in noting that they offer Bulk Bags. We use these for moving the wine cork stoppers that cycle through our own business. One contractor noted that “We use your bulk bags to fill with construction debris on the upper stories of our apartment complexes. We then crane the sacks full of rubbish right into the dumpster. Works great!” The list of the “byproducts” they offer is long and varied but here’s a sampling – narrow width belting, gym floor wood, old rails from railroad tracks, billboard vinyls and surplus paint. They even offer a 185′ pedestrian bridge. 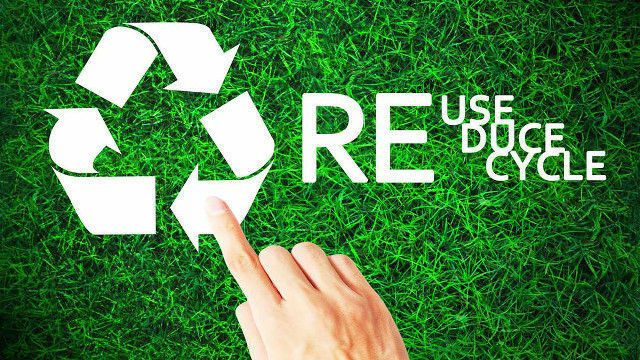 I’m impressed that repurposedMaterials seems to invite a lot of participation in the form of suggestions for repurposing all kinds of products from their network of interested persons. They are located in Henderson CO near Denver. The company defines themselves as “industrial matchmakers” with examples like an Ohio River tug boat operator, a turkey farmer in Arkansas, a water well driller in Montana, or a thoroughbred horse stable in Kentucky. They claim to be responsible for diverting hundreds of thousands of pounds of “waste” that would otherwise be headed to the landfill by locating the industries that can give these materials a second life. In the larger scheme of things, there is very little that you can’t repurpose, recycle or add to your compost pile but while I’m touching briefly upon the concept of repurposing, a cautionary note might be appropriate. Here are “12 Items You Should Never Repurpose Or Compost”. Motor Oil – recycle your oil properly in approved containers. There are specialized business that handle this waste product ethically and many auto parts stores and some garages will offer this service to you free of charge. PVC, Polystyrene or Polycarbonate – never reuse (or even use once if you can avoid it) – #3 plastic (PVC), #6 plastic (polystyrene) and many #7 plastics (polycarbonate). They can leach toxins such s phthalates, dioxins and bishphenol-A into your food. Aluminum Containers unless coated internally with an enamel coating, don’t re-use aluminum dishes because the aluminum will leach into your foods. I know my hands turn black when using an aluminum canoe paddle or handling aluminum tent poles. Aluminum has been linked to several different health conditions including Alzheimer’s disease. Sawdust – don’t toss it on your compost pile, use it to line your chicken cages or livestock stalls unless you know exactly where it came from because it often contains chemicals that were used to treat the wood. Black walnut shavings are toxic to horses – causing skin irritation, fever, hair loss and even founder. Black cherry shouldn’t be used in stalls either. However, if you know exactly where the sawdust came from and the source was non-toxic, it’s fine to use in your compost pile or in your flower beds. Meat and milk – shouldn’t be added to a compost pile unless you don’t mind attracting all sorts of critters to it. It generates very little heat while it decomposes and so it is not a vital component in a healthy pile. Walnuts and Walnut Shells – will release the chemical juglone which is toxic to some plants and vegetables including tomatoes. Used Kitty Litter – we actually put ours into the landfill trash when we still had an indoor cat. If you’ve ever dealt with used kitty litter – enough said !! Diseased Plants and Moldy Soil – may add fungi and bacteria to your compost pile that is undesirable. Heavily Coated or Colored Paper – While it’s fine to repurpose magazines, colored paper or wrapping paper, these should never go in your compost pile because the chemicals used to add the color and the gloss can be toxic. 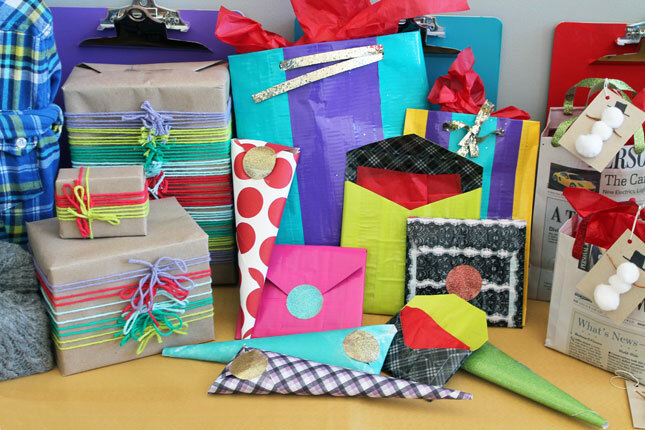 The ink doesn’t break down properly so these items should be tossed into your recycling bin or repurposed as note paper, collages or could be used as gift wrapping paper. Used Cooking Oil – The only sane way to repurpose used cooking oil is in making biofuel. Don’t add it to your compost pile because it can disrupt the moisture level in your pile or attract unwanted pests. Personal Hygiene Items – though this may seem like common sense, single-use personal hygiene items such as tampons, pads, tissues and disposable diapers should never be washed and reused, nor should they go on the compost pile. 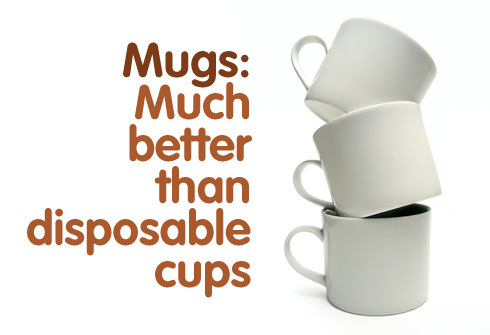 They have been contaminated with bodily fluids and are not suitable for recycling, reusing, repurposing or composting. Old Household Wood – If you live in a house that was built prior to 1978, most of the original paint likely contains lead. Don’t reuse old window sills, banister railings or anything painted when the house was built in any of your repurposing projects. Don’t burn them, either. Just send them to the dump. I admit I am “liberal” about putting “organics” into our “waste pile” but then it is NOT your conventional compost pile. We are not very good at vegetable gardening, though we try to grow a few cherry tomatoes each year and sometimes get more ambitious. Even though I don’t make a good example of being able to say I adhere to all of the suggestions above, I still think they are good ones !! 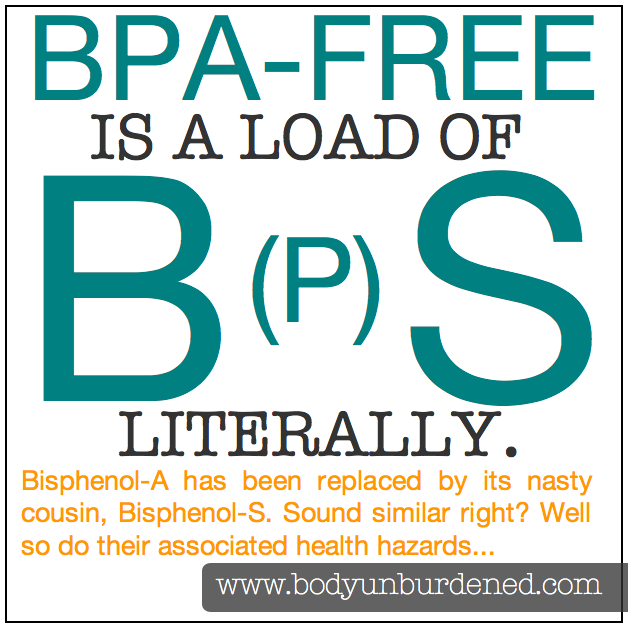 “Doubts grow over BPA replacement – Bisphenol S poses the same health risks, researchers suggest” by Beth Mole in the Earth & Environment section. The illustration that accompanies the article compares the two noting their similar chemical structure and that both have the SAME hormone-disrupting effects on animal cells. So manufacturers have been able to honestly claim “BPA FREE” but that reassurance seems to have been deceptively unfair to consumers. One would think the chemists should have known better. I simply am not able to trust the chemical industry in general any more. Of course, I know chemicals are important and necessary and that some are even “natural” and “organic” (and I can “trust” those to be what they are at least). Just this past week I posted a reply from my Missouri R Senator Roy Blunt that was mighty slow in coming, and as politicians are wont to do uses a lot of words that look good but don’t really say all that much, as a comment on another blog here – “What Happened to Good Intentions ?” published here on Feb 2nd of this year. The author of the Science News piece concludes that “Chemical tweaks aren’t enough to tame a possibly dangerous component of plastics, two new studies suggest”. 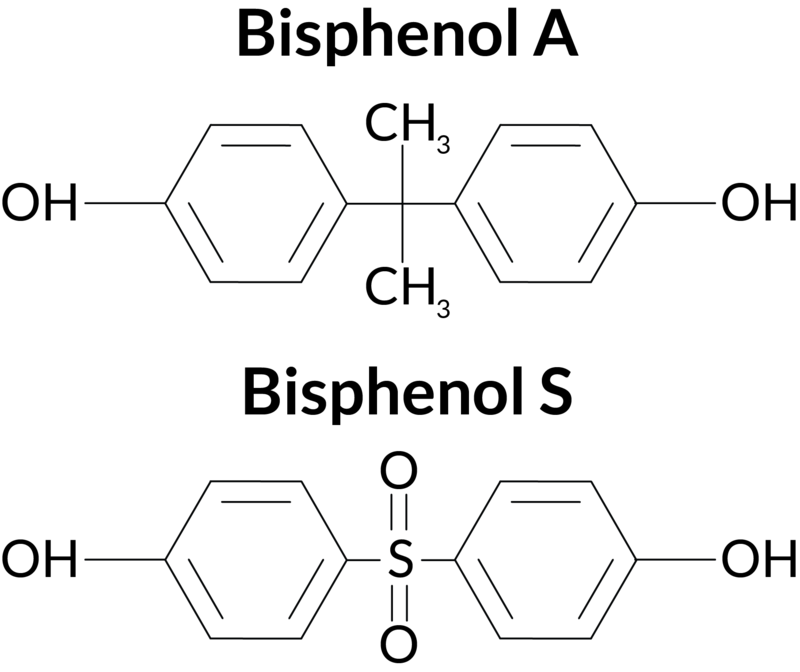 The difference between BPA and BPS are in how the ring structures are linked together – by a carbon atom attached to two methyl groups for BPA and by a sulfur atom attached to two oxygen atoms for BPS. 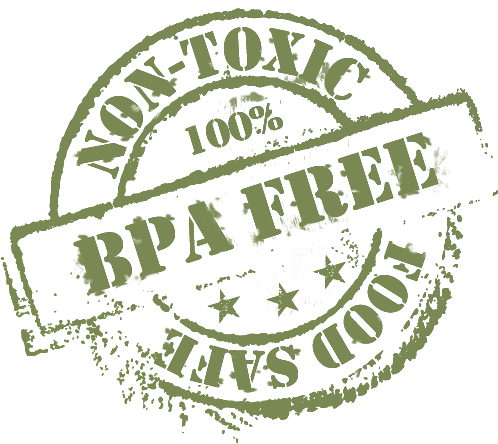 BPS has been used as a replacement for BPA in paper receipts since concerns about cashiers and waiters handling these so frequently arose. Regrettably, even back in 2012, 81% of people who were tested had detectable amounts of BPS in their urine. 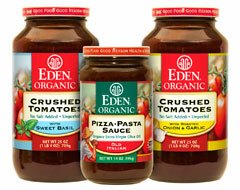 Most likely it was the least expensive approach to growing consumer boycott’s of containers using BPA. One of the studies goes so far as to admit – “. . . products labeled ‘BPA-free’, such as baby bottles, are not as free of health risks as consumer might expect.” What’s there to worry about ? Researchers found that BPS, just like BPA, can boost heart rates and spur irregular heartbeats in female rats. Heart cells in male rats block certain estrogen signals – it’s known if that would hold true with humans. A pharmacologist involved in the heart study commented that the two chemicals “are nearly indistinguishable, if not identical”, in their effects. A separate study found that BPS, just like BPA, can alter brain development and behavior in zebrafish. Embryonic fish exposed to levels of BPS similar to the low levels of BPA found in nearby waterways were hyperactive and zooming around their tanks in circles. BPA exposure in humans has been linked to behavioral changes that include hyperactivity. Previous reports had already reported the same estrogen mimicking effects with BPS as with BPA in both humans and other animals. Three years ago Mercola.com published warnings about BPS in an article posted online (see Information Resources at the end of this blog). While the potential human health hazards of BPS’s estrogen-mimicking effects remain unknown – BPA has been linked to obesity, cardiovascular disease, cancer, infertility, neurological problems and asthma. And there is more troubling news – even though the Food and Drug Administration banned the use of BPA in baby bottles in 2012, there are few other restrictions on its use in the United States and the use of BPS is not restricted at all at this time. Without naming BPS, the Environmental Defense Fund notes on its “Four Reasons ‘BPA-free’ won’t protect you” page – “When BPA is removed, it’s often replaced with a similarly dangerous chemical. This is known as ‘regrettable substitution’, and there’s no one charged with ensuring replacements are any safer.” And the EDF goes on to note – “Regrettable substitution is a problem not just for BPA, but thousands of chemicals.” because “. . . the Toxic Substances Control Act, is nearly 40 years old and ineffective. Unlike prescription drugs, companies can sell and use chemicals without showing they’re safe.” You can sign a petition about that at the link for the EDF in the Information Resources section at the end of this blog. Another possibility is to buy as much as you can in aseptic packaging. 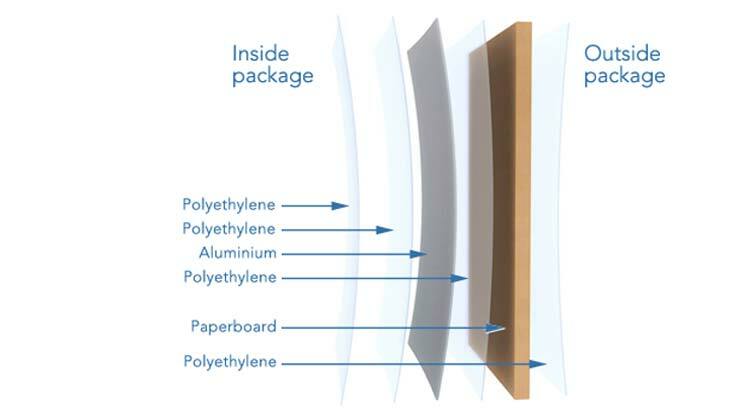 Tetra Pak offers a diagram of their package materials, very simple like “basic ingredients” – polyethylene, aluminum and paperboard. Dr Mercola did admit – “To be fair, you probably can no longer completely eliminate your exposure to BPA, BPS and similar toxins (since they’re likely in our air, water, and food, too) but you can certainly reduce your exposure dramatically by making informed choices like those described above.” Remember – back in 2012, 81% of those tested were already “positive” for the presence of both BPA and BPS – sadly. A recent article in The Guardian reflects what we have been feeling for reasons of our own within our business. We are not in the first tier of the recycling process. We have been there in the past – actually bringing in bales of minimally sorted plastic bottles and paying our employees to carefully remove the resins that shouldn’t be co-mingled with the #2 HDPE resin that is our predominant feedstock (we can tolerate some #4 LDPE and #5 PP because our process is “forgiving” enough to handle that much variety). At that time, we actually were paying them more in “bounties” than their base rate without the inducement. It has seemed to us that recycling in general, while happily still continuing to be utilized in many communities (ours included) to reduce transfer costs and the space required in limited landfills, is no longer given very much “public” attention. This has psychological impacts on the individuals who are creating waste. They may feel that their personal effort isn’t really significant or that the “problem” has already been solved without their input. Neither of these perspectives is valid. Waste and the accumulation of it are still an issue we should all be concerned about. Recently the Environmental Protection Agency announced that as of 2013 overall recycling rates were 34.3% of the waste stream and had contracted for the second year in a row. 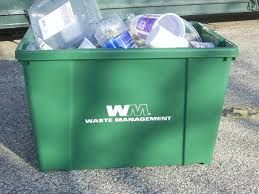 And it isn’t only municipalities struggling, Waste Management’s recycling division posted a loss of nearly $16 million in the first quarter of the year. 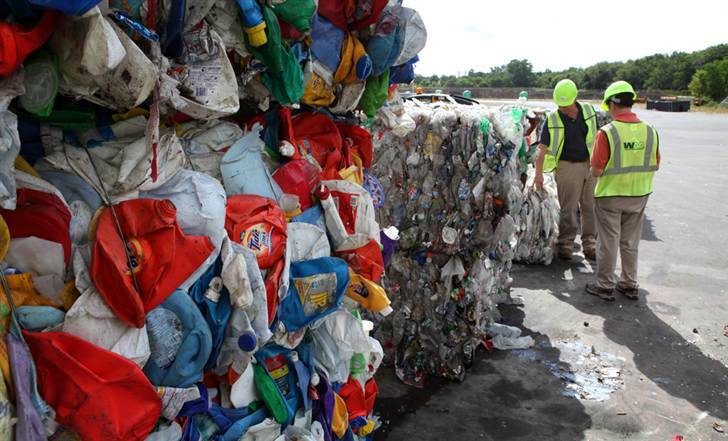 The company has shut nearly one in 10 of its biggest recycling facilities. According to Steiner, “An even larger percentage of its plants may go dark in the next 12 months”. Even though environmentalists and conservation advocates question whether the industry is overstating a cyclical slump, a perfect storm of falling oil prices, a strong US dollar and a weakened economy in China have conspired to devastate prices for American recyclables worldwide. Chinese companies have also become pickier about the quality of American materials they purchase. I remember when we had to do a lot of the work of recycling ourselves BEFORE we ever took our recyclables to the collection center. Everything needed to be sorted and I always made sure it was clean as well. Although our local center does still ask for some pre-sorting by citizens bringing in their recyclables, many centers and especially curbside programs don’t require any sorting at all (but I guarantee you that to make use of it all – it has to be sorted – before it is further processed). We pay a “bag fee” on transfer station non-recyclable trash. Maybe the collection centers for recyclables need to start charging a much lower fee for those items – perhaps half of what the landfilled materials cost to dispose of. Contamination of the recyclable stream has always been a problem. Glass is a problem in automated sorting facilities because it often breaks and ends up rendering valuable bales of paper or plastic unsaleable. And the reality is – uninformed and untrained curbside program users often contaminate their recyclables with garbage – even if some of the items were placed there with optimistic good intentions that they had a residual value. And there is an interesting market impact due to changes in the packaging of consumer products. Patty Moore, head of California-based Moore Recycling Associates, notes that “. . . what’s different now is that the material mix has changed”. The once-profitable old newspapers, thick plastic bottles and aluminium cans that could be easily baled and reused make up a far lower percentage of the recyclable stream, replaced by lighter weight alternatives like vacuum-packed bags for coffee and foods like tuna fish. Tin cans and plastic water bottles have become thinner. Many items such as soup and other liquids come in aseptic cartons now. Even the plastic milk jugs we depend on for Yemm & Hart’s Origins product are frequently replaced with that type of packaging. And in the midst of all the bad news, there is this bright spot – an increase in cardboard turned in for recycling. More people are buying items through online merchants (we certainly do as stores are a long way from home and time consuming to shop at). Because of this trend, cardboard has doubled its volume in the recyclable stream. Also businesses that eventually process sorted plastic bottles continue growing and a processor that feeds an Indiana paper mill churning out 100% recycled cardboard has just recently added capacity with two new facilities coming on line. Everyone should care about these issues. Anyone can make a more diligent effort to do a good job of recycling ONLY materials that can be utilized and keeping their garbage contamination out of the recyclables system. Like droughts or floods, the current economic situation could change at any time – oil prices could rise (though I’m not wishing for that out of terrible self-interest). The US dollar could weaken and I’m not proficient enough at economics to say whether that would be a good or bad thing for most of us. And one could put some hope in China’s tendency to plan far far ahead for the common good of their own people. Unfortunately, the United States of America does not tend to look beyond the next fickle election cycle and our politicians are unlikely to ever care very much about “trash”. The danger is that we could lose the momentum built up over several decades with a short-term, profit-driven/loss-adverse mindset or even worse – apathy. The reality is that money still makes the world go round . . . environmentally we would be better off if quality of life and human welfare and protecting the world that sustains us were the values that determined decisions about what should be done and why. I don’t see such a sea change in perspective coming any time soon, not even in my lifetime, and yet I never say never and I don’t give up hope easily.